Description: Yo ho ho and a bottle of… souls? Nulgath fans go to sea! 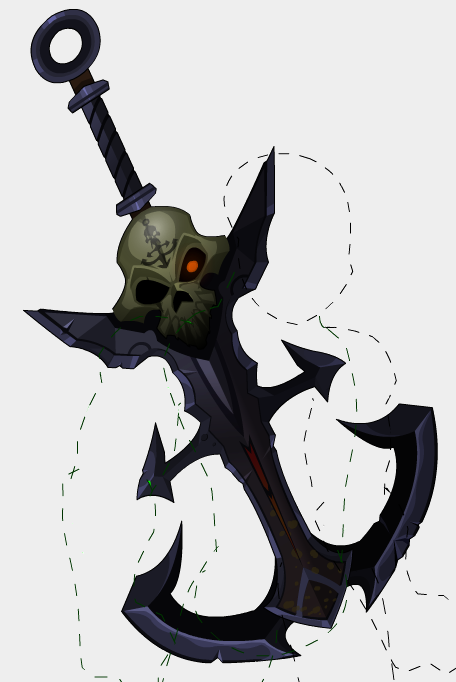 Remodelled by Skew based off the Oblivion Blade, this anchor also has the ability to destroy innumerable lives. Note: Previously called "Nulgath Navy Anchor of your Back".